Just a few months in and we’re already hearing stories of electric car owners getting stranded as their new electric cars ‘suddenly’ run out of power. We’ve already examined the reasons behind why two 2011 Nissan Leaf drivers recently found themselves stranded without charge, but it got us thinking: do electric cars need to represent remaining fuel reserves differently? Unlike gasoline cars which inevitably have a spare gallon or two of fuel in the tank when the gauge shows empty, electric cars tend behave a little differently. By the time most electric cars show an empty charge it is often miles away from running out of juice or entering a dangerously slow ‘limp home’ or ‘turtle’ mode. Why Not Mimic a Reserve Tank? To mimic the 20 to 30 mile reserve capacity of most gasoline cars, an electric vehicle would need to indicate an empty battery pack while it still had at least 5 kilowatt-hours of useable power left in the pack. But to do that on a car like the 2011 Nissan Leaf, the car would need to show empty after only 79% of the battery had been used, resulting in reaching ‘empty’ after between 60 and 80 miles of driving. Or in other words, going from ‘full’ to ‘empty in around 73 miles, the range estimated by the EPA as being the true range of the 2011 Leaf. 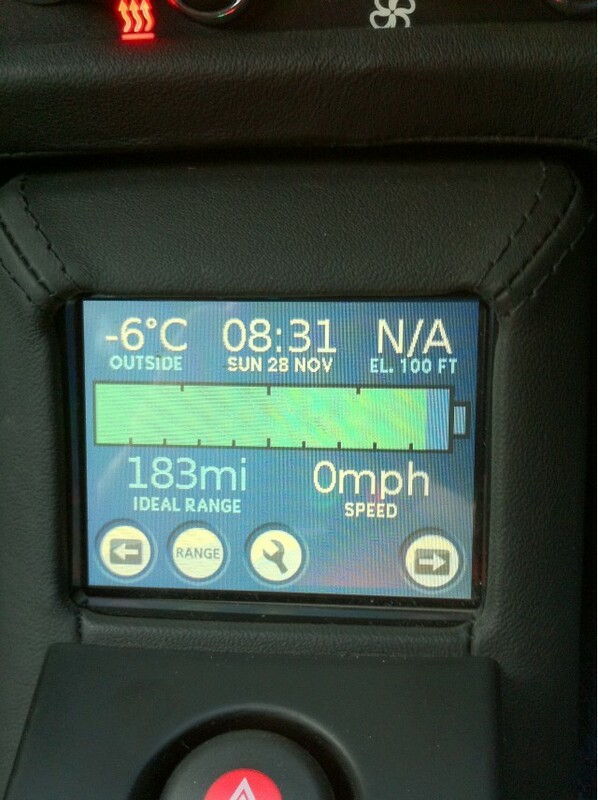 Calculating remaining range on any car is difficult. Ten years ago, drivers only expected to know the amount of charge (or fuel) remaining. Now it’s expected to include a calculations indicating just how far the car can go before it reaches empty. Based on past driving, these calculations can be wildly unrealistic. Just a few months ago we drove a 2011 gasoline Volvo C30 120 miles and arrived with the on-board computer telling us we had more remaining range than we did when left. In other words, smooth driving can reap rewards in range calculations. But a few spirited overtaking maneuvers and harsh driving can cause estimated range to drop like a stone in little more than a few miles. 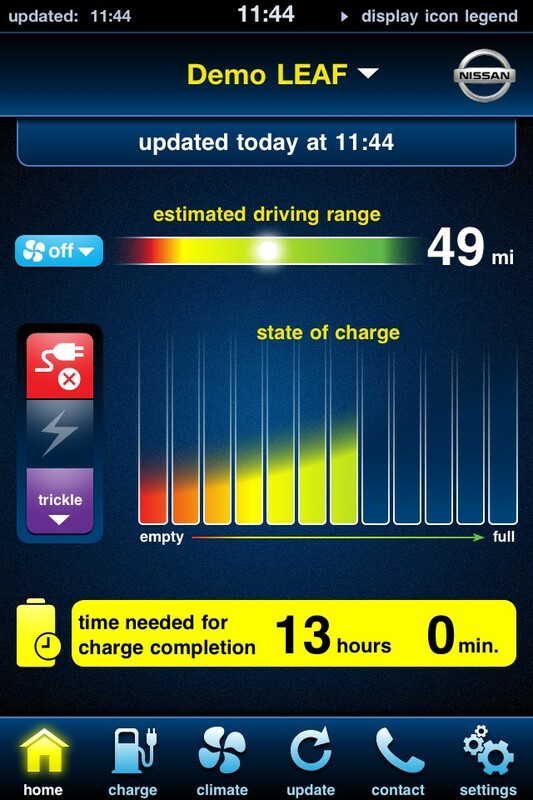 An obvious solution to this would be to display the car’s state of charge rather than estimated range. In order to be useful however, the resolution of each segment of the display would have to be far greater than the current 10 or 16 segment displays used by most automakers. Ultimately though, electric car manufacturers have to acknowledge that their cars will be driven by people who are used to the world of gasoline fuel gauges, in which range calculations are often underestimated rather than overestimated and there’s always reserve fuel at the end of the dial. 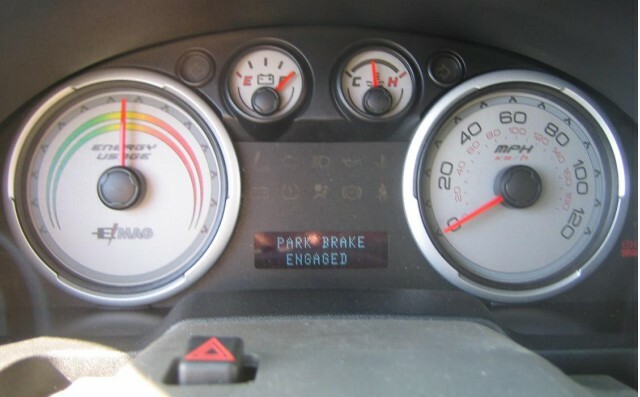 But while early adopters may be willing to relearn how to read how much fuel they have left, those who follow won’t, putting the onus on automakers to improve the accuracy of range reporting or suffer at the hands of a public transfixed with range anxiety.